An innovative ZF airbag design has the lowest weight and is the smallest in the industry. Frank Mertens reports since 2005 on the car industry. This article was first published on the company website, www.autogazette.de. In 2019, ZF will bring the industry’s first knee airbag with fabric housing onto the market for a major European vehicle manufacturer. It is up to 30 percent lighter than conventional models with metal housing. In the interview, Norbert Kagerer, head of the Occupant Safety Business Unit, and Werner Freisler, responsible for the Knee Airbags area, explain the history of this innovation. ZF’s new knee airbag is said to be the lightest in the industry, as it uses a fabric housing rather than a metal one. The weight could thus be reduced by 30 percent. Exactly how much weight was saved? Werner Freisler: The complete knee airbag module now weighs less than 700 grams, about 300 grams less than the previous airbag with metal housing. In addition, weight and installation space can be saved in the dashboard. The total weight reduction varies from vehicle to vehicle. Does the use of the fabric housing also allow the airbag to be inflated faster? Freisler: No, the well-known and robust technology remains the same, which is what makes our development so interesting. 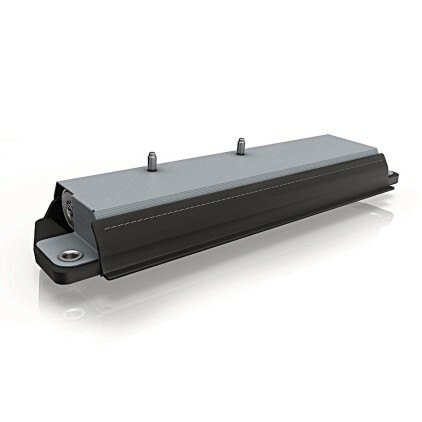 We are providing great weight savings without compromising on functionality. ZF has announced that the knee airbag will be used by a major European manufacturer next year. Are we talking about a full-size luxury car? Norbert Kagerer: No, it's a volume manufacturer, not just a few vehicles in the luxury class. We are thus making a significant contribution to increasing the efficiency of the fleet. The CO2 legislation is getting stricter and stricter. What role did this play in the development of the knee airbag? Freisler: It was a crucial aspect. Saving weight is important for the industry. That’s why we developed the modules with optimized weight. We succeeded in reducing weight by more than a little: we shaved off a great deal of weight. You have to keep in mind that it was previously considered to be an enormous amount when you saved 50 or 100 grams. When you make a big jump of around 300 grams, as we have here, it’s very attractive to the customer. How long has the development of the knee airbag taken? Freisler: Three to four years passed from the first considerations to product maturity. Will fabric housing be used on other airbags? Kagerer: We are working to use fabric housing on the passenger airbag too. There are already interested parties outside Europe. What advantages does the knee airbag offer in terms of safety? Which body areas are protected in addition to the calves and thighs? Kagerer: We're talking about an overall system here. It starts with the seat belt and ranges from the driver and/or passenger airbag to the knee airbag. We can thus offer the best possible optimization of the overall kinematics that occur in the event of a crash for the body. The knee airbag is a component of the overall system that ensures optimal protection of the occupant. ZF says that a new production process will enable new space configurations, thereby improving the protection function. What does that mean exactly? Kagerer: The topic of installation space and packaging is becoming increasingly important. We look at where we can now offer the occupants more space and more possibilities – with the same protective effect, if not better, of course. The entire industry is working to reduce the installation space for the generators for the airbags. Freisler: We were able to keep the size of the installation space very small, allowing us to meet the demands that will be placed on future interior concepts when driving is automated. When you talk about autonomous driving, you also talk about the car as a mobile office. Are you worried about this idea in terms of safety? Kagerer: Naturally, we have to see how much further we can optimize the protection of the occupants when the car becomes a mobile office, for example. If I give the occupants freedom in terms of space, then I have to figure out where the safety systems are housed. If the seat continues to change, there will inevitably be changes elsewhere. The airbags that are now housed in the steering wheel or the B-pillar will move to other locations. We will increasingly move toward seat integration. Seat integration is one of the key issues we are examining with great intensity. In the future, could the airbag in the B-pillar become a thing of the past? Kagerer: We will probably see fewer airbags in the B-pillar, but head protection airbags will remain. We will also see changes in the size and precise placement of airbags. As I said, many elements will head in the direction of seat integration. What requirements do you have for safety aspects with regard to autonomous vehicles in which passengers also face the opposite direction of travel or lie down in the car while it is moving? Kagerer: Until we have achieved zero traffic accidents, we will continue to see the well-known systems such as seatbelts and airbags. We have to get into the seats so that we can adapt to the situation in the vehicle. We think about many possibilities for providing protection even with the seats turned. Freisler: In this context, the topic of sensor technology is becoming increasingly important, because I need to know where the occupants are sitting in order to be able to protect them. Kagerer: For optimal protection, individual adaptation is required. That is, where is the occupant sitting, how are they sitting, how old are they? Age is an important aspect. With older people in particular, you have to think about bone density in order to be able to best distribute energy in the protection system. Are the airbags already linked to the sensors of the vehicle so that the vehicle goes into a preparatory state, as with Pre-Safe? Kagerer: That does not exist yet, but in the near future we will be able to activate the protection systems before the crash. 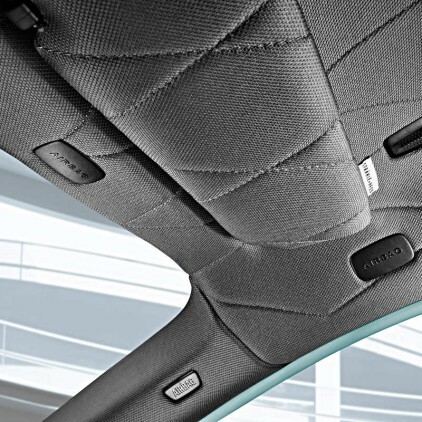 This will function similarly to seatbelts, which tighten preemptively before a collision. How difficult is it to develop something when you don’t know when it will actually come out or, most importantly, what the legal requirements will be for it? Kagerer: Autonomous driving means that we are being confronted with a lot that is new, of course. There will also be changes in the NCAPs. We are not undertaking development lightly or haphazardly. Today, we already have insights into which stresses our vehicles will be put under. We know what we are doing. 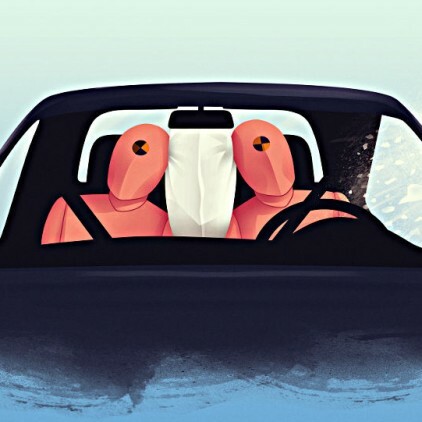 Does the airbag deployment time have to be shorter with autonomous vehicles? Kagerer: The triggering time doesn’t need to change. We’ve already achieved a triggering time of milliseconds today. What will change, however, is anticipatory driving. There are now front, side and roof airbags, airbags on the hood and there will soon also be a Center Airbag from ZF. Will the car of the future just be a single giant airbag? Kagerer (laughing): No, of course not. We are working on the vision of zero accidents – Vision Zero. I don’t think we will be installing airbags all around the vehicle in the coming years.